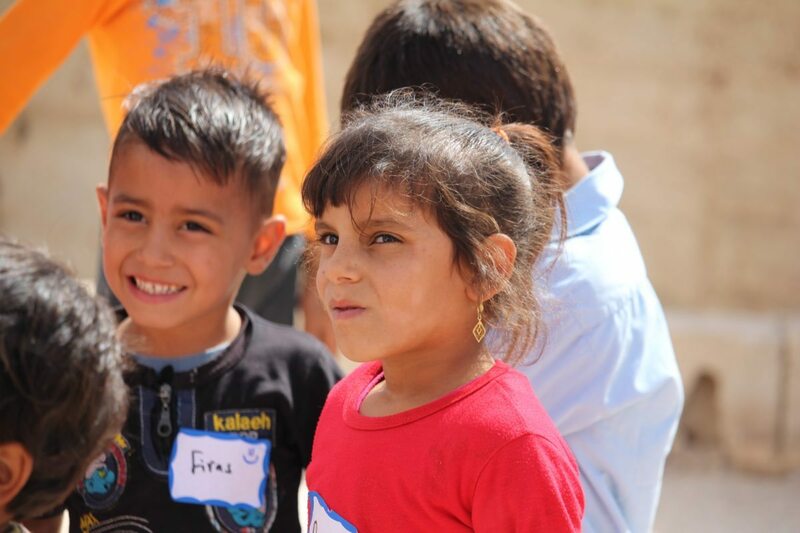 Today we had the privilege of being part of the kingdom work that is happening in Azraq, Jordan. There are about 100 kids that attend this school. Almost all of these children are from bedouin families. 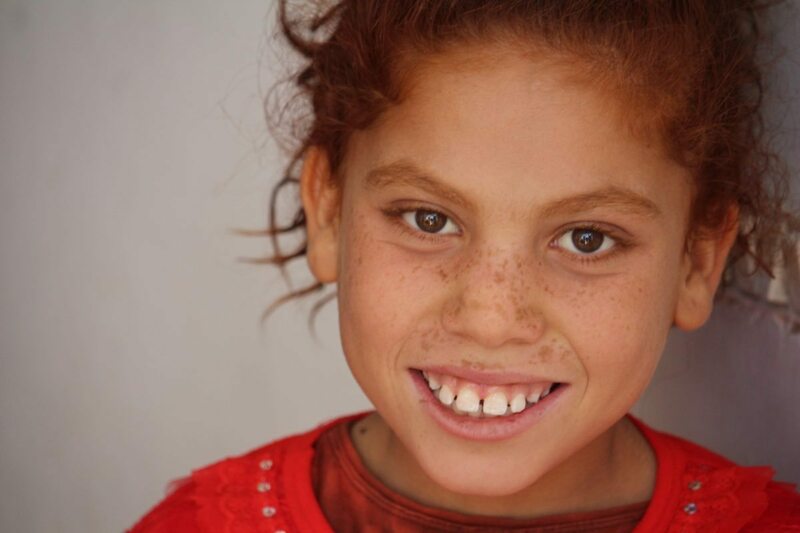 Bedouin families are a nomadic people group that live all over Jordan in tents. Their families are sheep and goat herders and they set up camp wherever they can find a piece of land to settle. This people group is often uneducated and this school has gained a reputation for teaching these children to live and love in a different way than what they know. The school is doing this in such a powerful way that bedouin families are going the extra mile to try and get these children into this environment. When we arrived at the school, we arrived to a small group of the older kids outside playing a game with a long piece of rope. From the beginning we could tell that these kids were different from the kids that we have worked with in the past week. Their skin was dark and tanned by the sun and their bodies were very skinny, beginning to show signs of being malnourished. But despite the outward symptoms of a very hard life they met us with wide-eyed wonder and smiles on their faces. We’ll be working with the children and teachers of this school for the next two days. Thanks to generous donations made by our family back in Oregon, the team was able to bring brand new soccer balls to the children here in Jordan. Today we distributed 4 balls to the school in Marqa and they were delighted. We still have many more to distribute and we are completely blessed by this simple and profound way to bring joy to these kids. Sunday is coming to a close in Jordan and it’s starting to cool off in the capital. Things are starting to feel less new and more familiar. The team has had the opportunity to work at two different sites in the past week and we have been blessed by the relationships we have built with the people that we have had the privilege to walk alongside even for a very short period of time. The capital of Jordan is Amman. 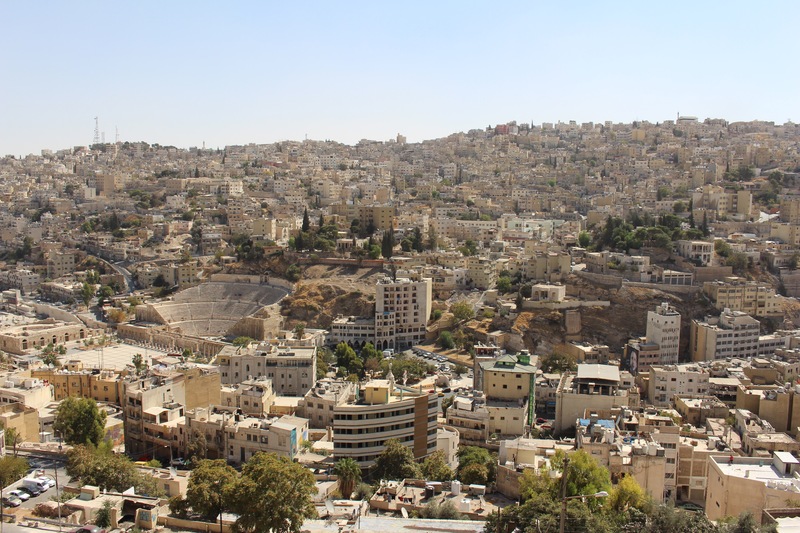 Amman is a busy city with buildings that stretch almost as far as the eye can see. The buildings almost melt into the hills in varying degrees of beige and brown. It doesn’t take a lot to create a family and we have been reminded over and over again that we have so many brothers and sisters in Christ all over the world. One of those family members is a man named James. James left his home country of Iraq after experiencing unspeakable persecution. After living through such circumstances he is here trying to heal and continue his life right and we are bearing witness to that process. He is a young man who has been through so much because of what he believes and members of our team met with him to walk him through steps to continue to heal and embrace truth. Even after only a few days of processing and seeking to release himself of the chains of his past, our friend James reports that he is sleeping better and that his chronic pain and anxiety has decreased. It is an absolute gift to see James progress in such significant ways in such little time. 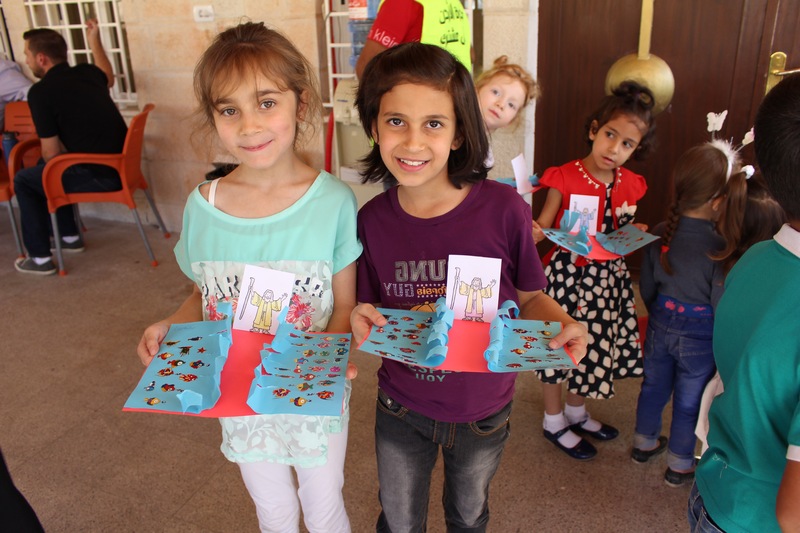 Two little girls pose with their Moses parting the Red Sea crafts. 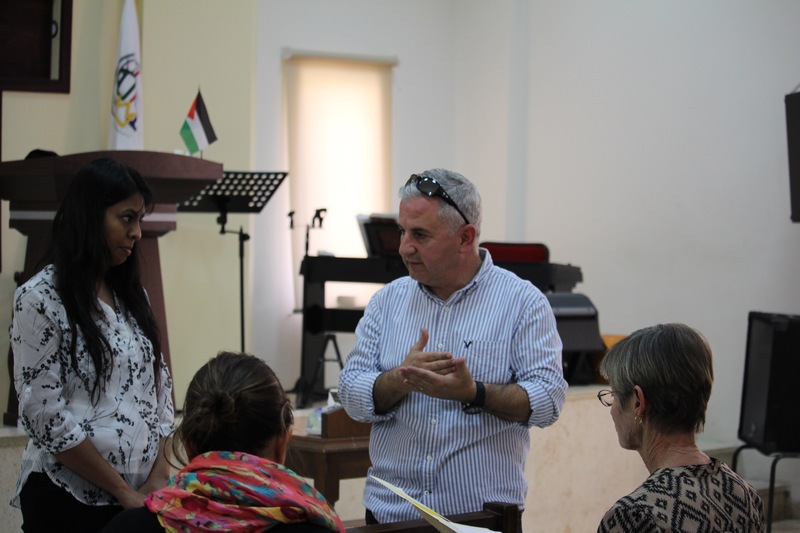 At our second location we were able to provide training to teachers and staff of a church body that is working with Syrian refugee mothers and their children. Teachers sat through technical training on stress and anger management and learned the benefits of validating emotions and trauma therapy techniques. After an initial training with the staff our team led one of the weekly sessions that are held at the church for mothers and children. One of the mothers was asked why she comes every Saturday to these gatherings at the church and she said that she comes because she wants community and because what is talked about and taught, is something that speaks to her heart and gives her peace. Our time with this church was a source of great encouragement and we hope to continue to support and lift up our family who will continue to strive and work with these women and children and impact their lives for something greater than we are able to understand or comprehend. Pastor Hassan and Sarah speak to the staff and teachers. Yesterday the team wrapped up our first three days at a site connected to the church where we were staying. 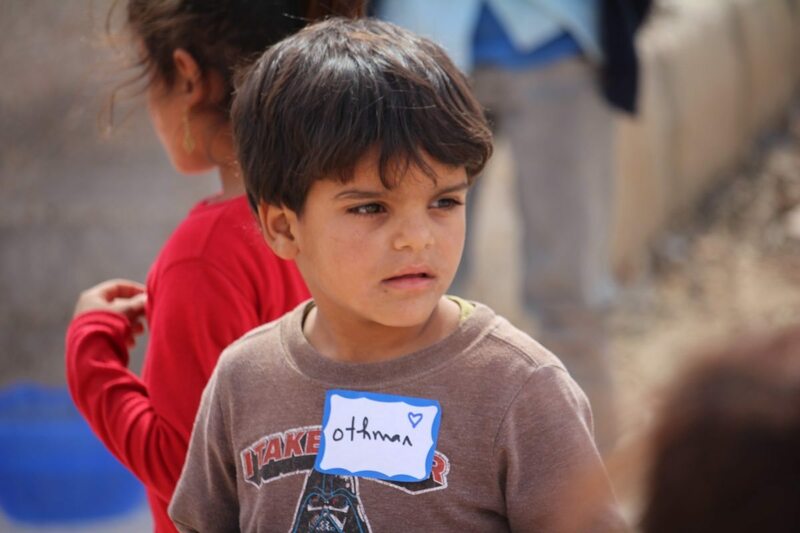 It has been amazing to see the relationships that God has provided and the opportunities to serve families in Jordan. Our two teams worked with the teachers and children respectively. The Principle of the school and a young student pose with a banner outside the school. During the teacher training sessions the team was able to begin dialogue with the staff about recognizing trauma and were able to give them tools to help their students process and progress. The kids who attend the school are from the ages of 4-11 and they represent a very wide spectrum of developmental and social stages. 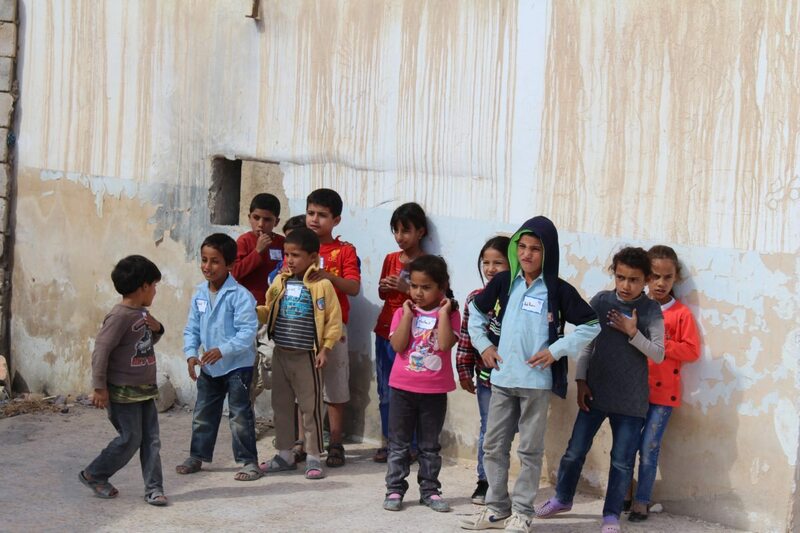 All of the children at the school are Iraqi refugees who are in Jordan for varying amounts of time. The stories of the teachers themselves is extremely touching. 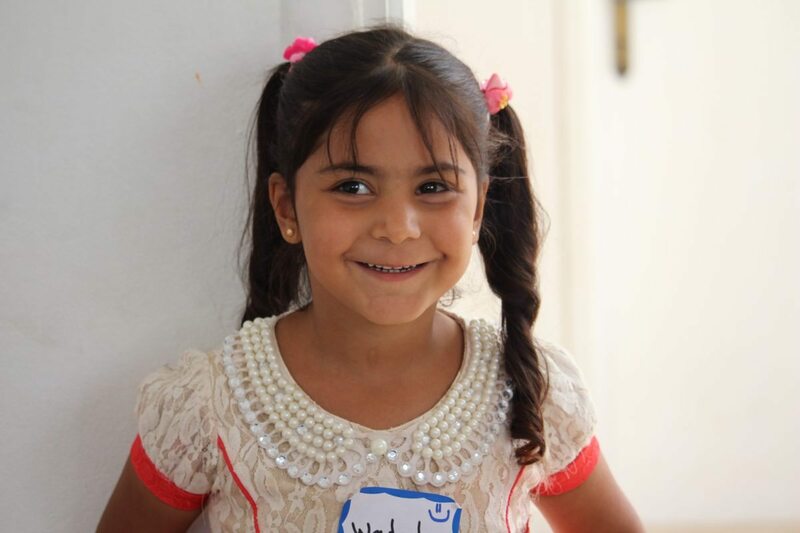 One of the teachers and helpers at the school is an Iraqi woman who was living in Iraq with her 3 daughters. One of her daughters who had attended the university to become an engineer was seeking work in the capital when her life came under threat and she was at the risk of being kidnapped. After this became clear, her mother packed up her whole family and fled the country. 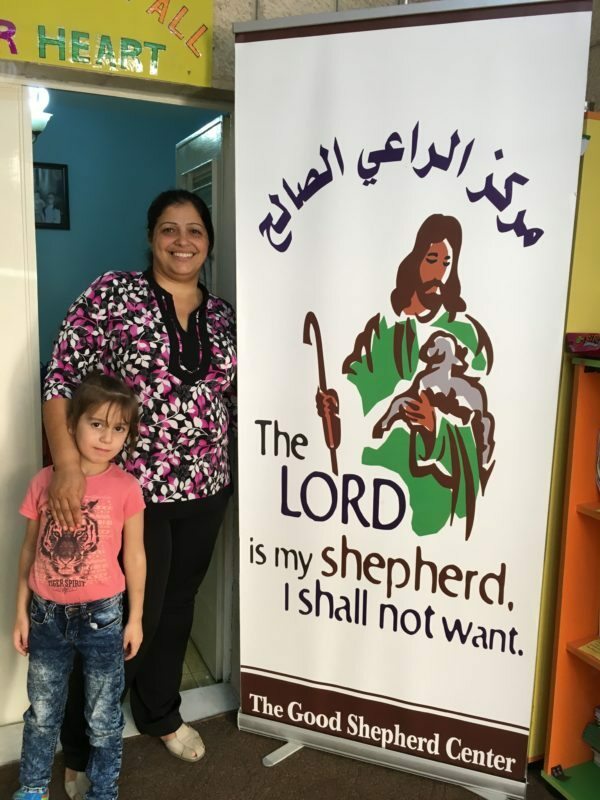 She has been in Jordan for the past 9 months and is waiting for her visa to be approved so she can take her family to a safe country and begin to settle and establish a new life. 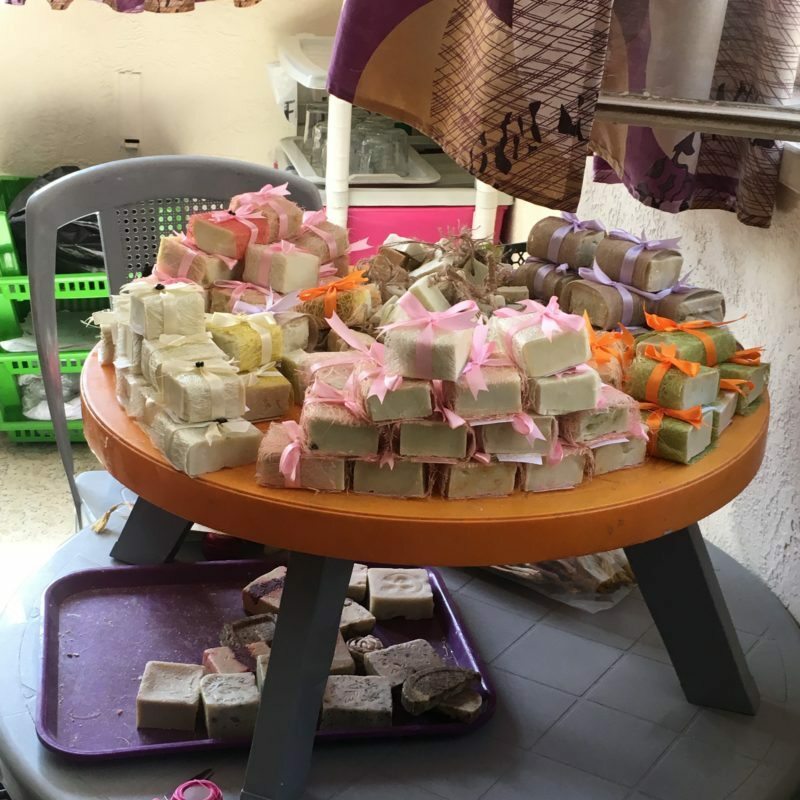 Handmade olive oil soap made by Iraqi refugees at the church to help them earn income as they are not permitted to work in Jordan. This is not at all an uncommon narrative for people living here in Jordan. Many of them are living in transition for years as they are very few opportunities for them to work. It would be easy to become extremely discouraged and yet we have encountered so many men and women who are using this interim time of uncertainty to seek opportunities and want to continue to heal from the trauma that they have experienced. After close to 30 hours of travel the team is safely in Amman. 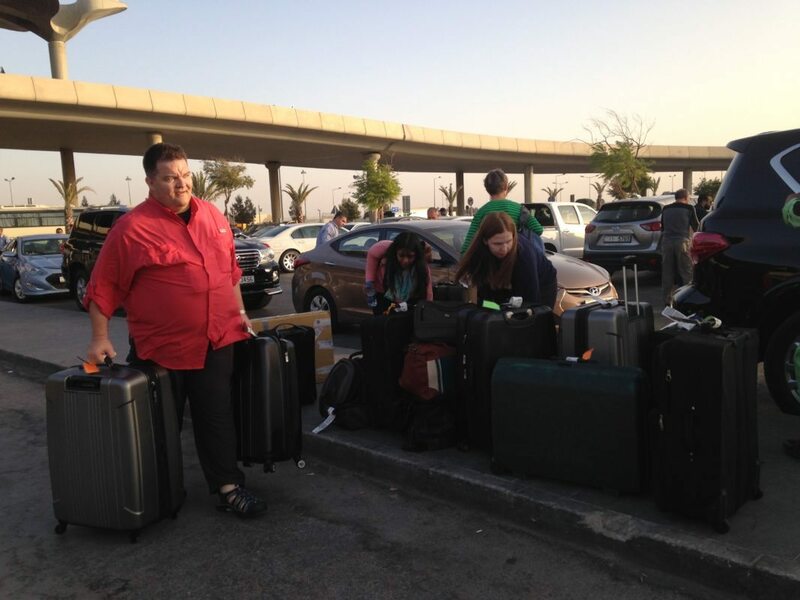 We arrived yesterday, early Sunday evening, and we were greeted by our hosts at the Amman airport. All of our luggage made it across the world with us and when we put our bags through the x-ray machine in customs the security office asked about one box “soccer balls?” and gave us a thumbs up as we pushed our loaded carts through the terminal. We raced through Jordanian downtown traffic, the rules of which seem to be very few and far between but the general feeling is one of assertiveness. The city was vibrant and busy with shops lined up closely together. So far it seems that Amman is a mix of new and old. The ancient ruins of a capital amphitheater juxtaposed by the massive IKEA, that’s right IKEA, building we passed before entering the heart of the capital. We are excited to begin the next 3 days with a local school and church working with both the children and teachers in elements of trauma counseling. We expect that many of the children that we will see in this segment will have come from Iraq as refugees. Welcome to the Jordan 2016 blog. This will be a place where the team will post updates and hopefully pictures from our time serving refugee families living in Jordan. We are very excited to embark on this adventure very shortly and have been affirmed and completely blessed by the support and prayers we are going covered in. Thank you for being a part of this even by choosing to stay informed about our journey through this blog. Half of the bags that the team is taking to Jordan were packed today during a little packing party. We also had the chance to celebrate one October birthday and make sure that our luggage came in at the proper weight. There is a renewed sense of anticipation in the air as we said goodbye this time, because we knew that the next time we would all be together would be at the airport checking in for our flight. We are grateful to have the room to take the resources that we need to facilitate supportive activities for the children and families that we will have the opportunity to interact and connect with. We have heard many things from experienced friends and people in the community. Little details like the fact that children really like M&Ms and that they are hard to find on that side of the world so we made sure to slip a couple packages of those into our luggage as well. Over the past months we have met as a team 4 times and have gone over cultural, spiritual, and team training and even with all that preparation we know that we are moving into greatly unknown territory. We may feel equipped, but we are also a little unsure about what skills and what experiences we will need to call upon to rise to this great opportunity and occasion. Don’t worry. So far there have not been any rule breakers. 🙂 Thanks for checking in and stay tuned as we update you about our upcoming departure.